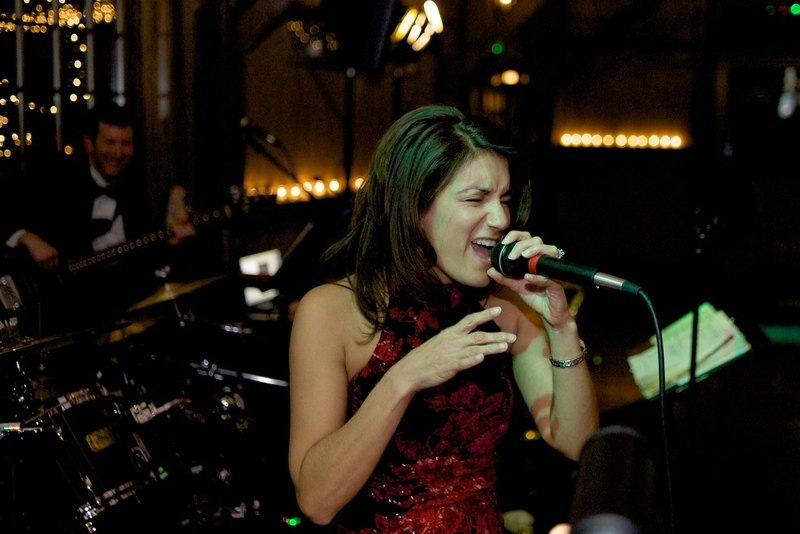 In addition to dance music, Charisma also offers background musical accompaniment to your cocktail hour or wedding ceremony. During your ceremony, our guitarist or pianist can play classical compositions that create a beautiful musical background. Cocktail hour jazz piano, classical guitar, or a jazz duo or trio can also be arranged. Check out the Audio page for sound clips of Jon, Marie, and Peter performing. Charisma is comprised of six experienced musicians who know how to keep the dance floor packed - we play songs that span the decades of popular music, and have carefully selected songs that appeal to all age groups. We can easily accommodate special ethnic dances, and additionally we would be happy to MC line dance, upon request. In addition to dance music for your wedding reception, Charisma can also provide ceremony and cocktail hour music - making us a "one-stop shop" to cover all facets of your event. We take very short breaks between sets, and when we do there is always music playing through our sound system - and if you have something special you want to hear, we can hook up an iPod or CD.